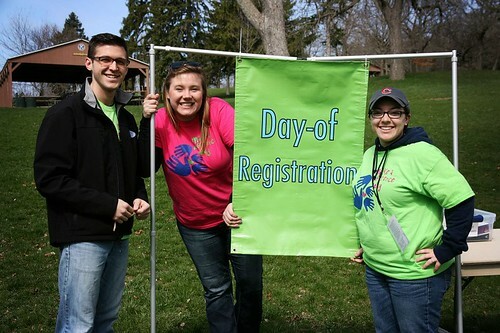 Last Friday, the staff of Career & Leadership Development, Greek organizations, and other prominent UW-Whitewater students and staff took part in Make a Difference Day. 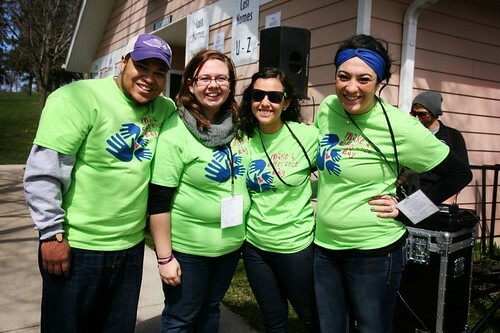 The weather was beautiful and everyone volunteering was smiling and having a great time! Enjoy some pictures from the event! Career & Leadership Development staff Brian Goetsch, Jay Bazylewicz and Nicole Golden. Career & Leadership Development staff Glenn Carson, Jessica Kearney, Cat Gangi and Mandy Shepherd. 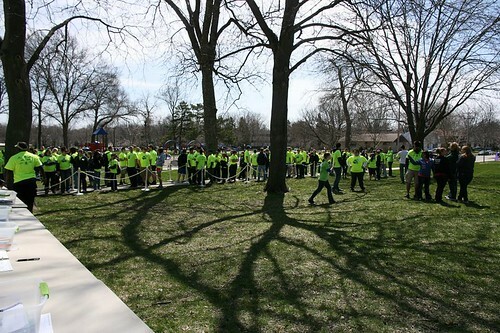 Check out all the volunteers in their bright yellow t-shirts! Career Social Media interns Heather Schwartz and Kelsey Welke. Chancellor Richard Telfer made an appearance at the event! 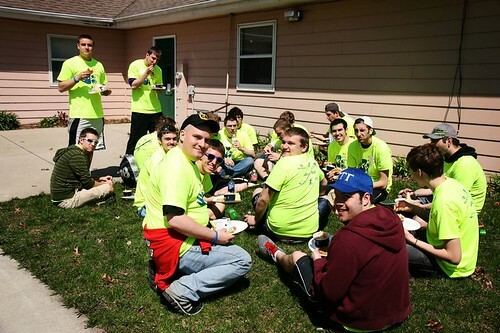 Here are some volunteers cleaning up the parking lot by Drumlin Dining Hall. 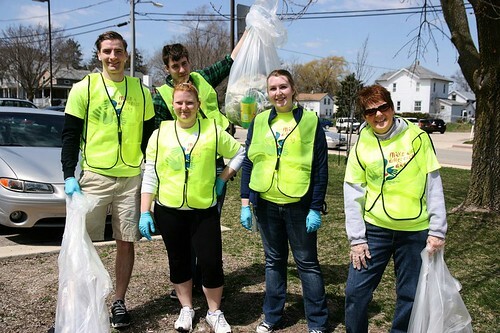 These volunteers picked up trash in downtown Whitewater. After the event, we celebrated by eating Qdoba and Toppers in Starin Park! The Community Service intern Jay Bazylewicz did an amazing job managing the event! 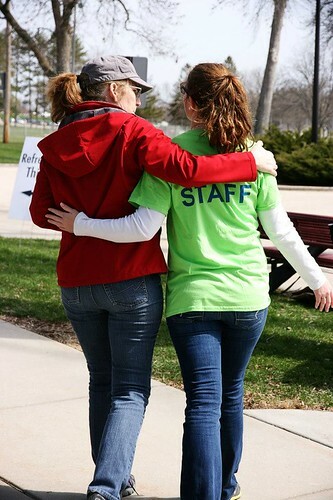 Here we see Career & Leadership Development associate director Jan Bilgen and Kristi Pedersen share a moment. 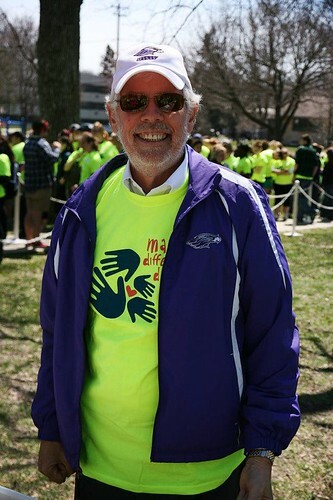 To see more pictures from Make a Difference Day, check out our UWW Career Facebook page. 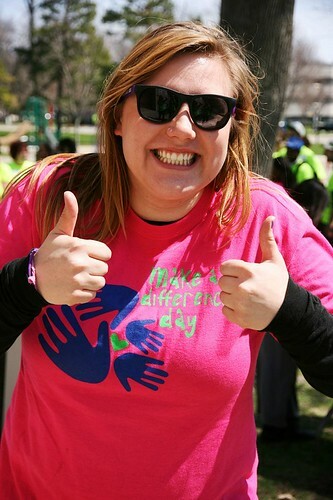 This entry was posted in Friday Favorites and tagged involvement, Kelsey Welke, volunteering by Kelsey Welke. Bookmark the permalink. It looks like you guys had a lot of fun and did a great job!